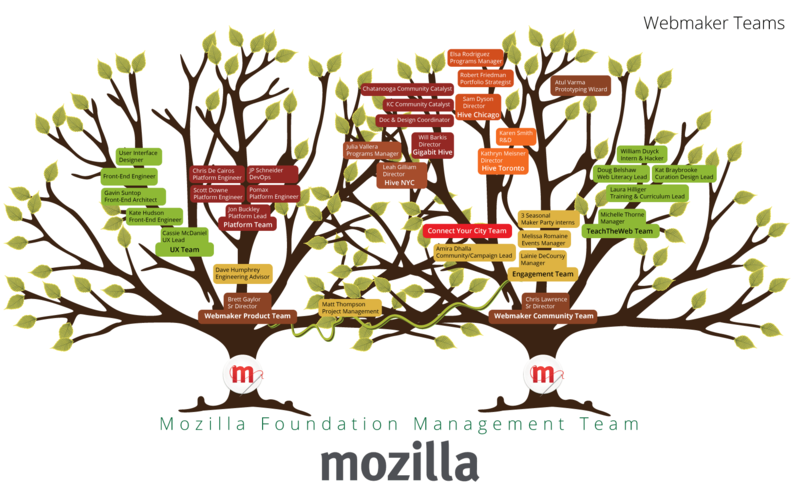 Here’s a post looking at the **principles of the [Mozilla Webmaker](http://webmaker.org) community** and the **top-level ways** we collectively further these efforts in 2014. **[Lots](https://michelle.makes.org/thimble/the-manic-tremors) [of](http://brettgaylor.tumblr.com/post/70626520407/webmaker-in-2014) [people](http://hivelearningnetwork.org/) [are](http://amiradhalla.com/2013/11/14/maker-partys-around-the-world-4-month-review/) shaping this work,** and by next year **hopefully [many more will have joined in](https://davidwboswell.wordpress.com/2013/09/30/what-would-a-million-mozillians-do/)** and help Mozilla’s mission spread and scale even more. Below is a draft of what Chris Lawrence and I nicknamed the **”meta-narrative”. ** It’s an attempt to describe **what we’ll be up to in 2014 and why. ** Thoughts and hacks very welcome! **Teaching and learning is not immune to this shift;** often, people are **fearful rather than empowered. ** How do we improve how people learn with, about and because of the web? We teamed up existing initiatives, like the **[Hive Learning Network](http://hivelearningnetwork.org/)** and the **[Summer Code Party](https://wiki.mozilla.org/Summer_Campaign_2012)**, as well as piloted new offerings, like the [Teach the Web MOOC](http://hivenyc.org/teachtheweb/) and a map for [web literacy](https://webmaker.org/standard). Below is a graph of our “lead users”. These are the types of community members who are most invested in the project. The graph is merely illustrative, not exhaustive. Its purpose is to sample the motivations of our community members and visualize how those compare to one another. * **An open network of networks. ** Connect to people and organizations seeking to collaborate and innovate. With a **more detailed roadmap** coming soon. And loads more events in the making.